Homes hardly sell themselves, even if they have amenities that buyers are looking for. 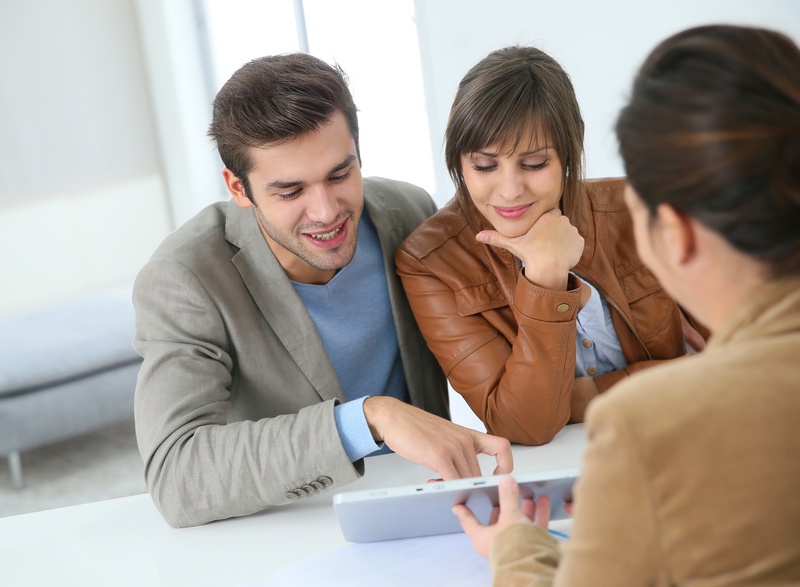 It takes a good real estate agent to make a sale, but amazing features certainly help. 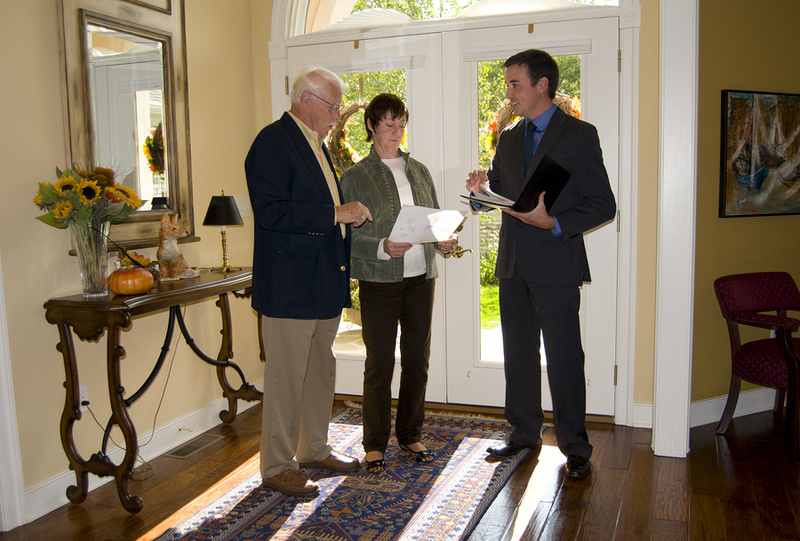 In fact, some realtors talk to the sellers about upgrading certain features in the home to make a better sale. Need to upgrade a home before it hits the market? These are five areas to consider when it is time to push a sale. The style of the home you are trying to sell makes a huge difference in the way potential buyers perceive it. Architecturally, people often have a specific style in mind when they go out to purchase a home. The most popular style is the Spanish home, which tends to spend less time than average on the market. Spanish style is characterized by a stucco exterior, clay roofing tiles, and occasionally exposed beams. Arched walkways and wrought-iron are also common features. Traditional styles are also popular. These homes offer modern interpretations of historic themes in addition to formal living spaces, like dining rooms, and fireplaces. These homes tend to have front porches and old-fashioned American charm typical of a suburb. Obviously, there is only so much you can do about the view of the home. Cityscapes offer the best advantage for sellers and agents, so playing up features like balconies and big windows is a good idea. Don’t have any of these features? This may be the time to consider adding them. Even if the view is not as spectacular as a distant skyscraper or the sparkling sea, buyers will appreciate a deck. Investing in bigger windows? It’s a good time to consider those that are geared toward energy efficiency. A city view can make all the difference. If the home you’re trying to sell has granite countertops, you may be in luck. 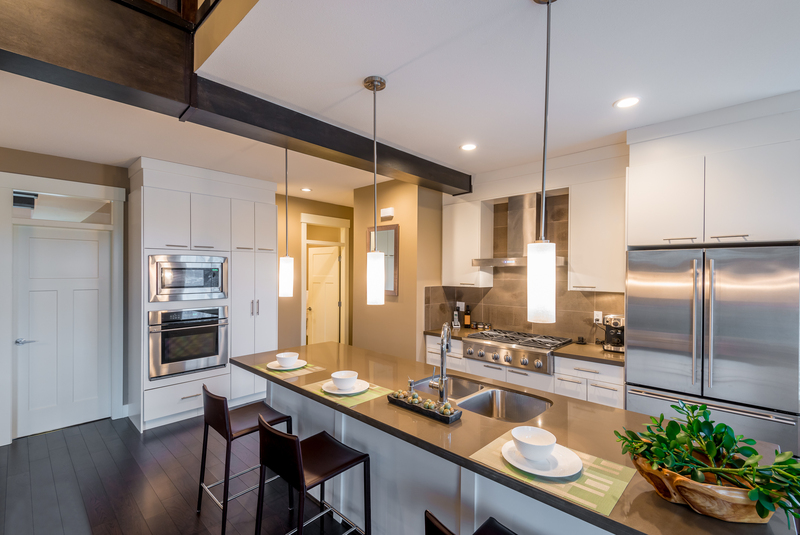 Laminate and wood countertops just don’t appeal to buyers in the same way marble and granite do. The more modern the room appears, the more compelling it is a selling piece. Investing in an upgrade is a great idea if the rest of the kitchen is already up to par. Custom-made cabinets can be pricey, but if they change the entire look of the kitchen, it may very well work in your favor. Essentially, you must consider what you are going to put into the kitchen as well as how much you are going to be getting out of it. Don’t have the time or funds to change the counters? You can still make other changes to the kitchen, like changing cabinet door knobs. Stainless steel appliances are here to stay, at least in some retail markets. What’s more important than the color of the appliances is the age. Newer appliances are much more likely to meet Energy Star standards, for example. A buyer who knows that he or she will save money with the appliances is a happy one. Additionally, buyers want to know that they are not going to be forced to change out appliances right away. Kitchens are about appearance and functionality. Most buyers do not consider homes more than 2,000 square feet in size, simply because homes larger than this tend to be more expensive. Plus, larger homes tend to come with more upkeep that a lot of people just do not want to deal with. If you are trying to sell a home with more square footage than is desirable, playing up the open space is a great idea. 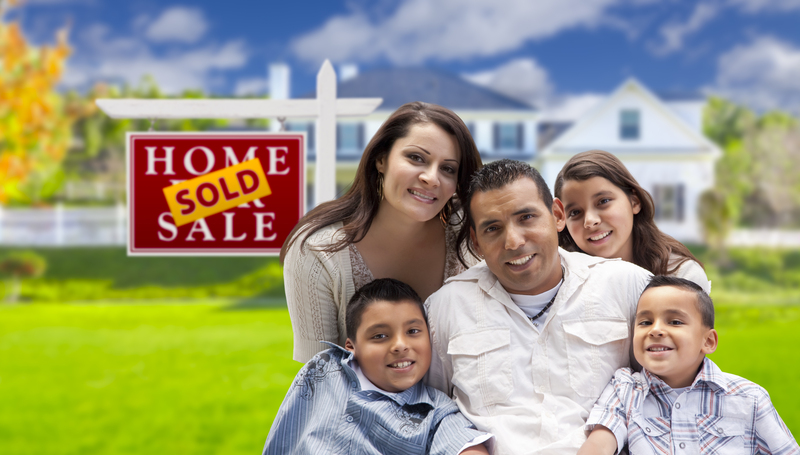 Contact us for more information about the features that will help you sell a home quickly. Marketing yourself as a realtor has never been easier than in 2016. Technology has elevated the real estate game, making it easier to promote yourself as a solid choice for potential homebuyers in your area. It’s also important to remember that everybody else will be doing the same. Learning how to better market your real estate business online is essential to making a name for yourself. These tips will help you build a deep, trusting relationship with clients rather than one that is simply on the surface. One of the components of staying relevant on the web is to continue sharing tips. Many real estate agents blog and post tips that help clients and potential clients understand the process of choosing and buying a home. The purpose of using a blog or social media profile is to build trust by demonstrating your authority in the real estate industry. The more help you can provide, the more a potential client is going to trust you. A customer relationship management (CRM) system is designed to organize information and compile everything you need to accumulate leads for your business. These systems are intuitive and store information easily so you can access it when you need it. Another great thing about CRM systems is that you can access them via laptop, tablet, or smartphone. Managing your business on the go? There’s not much that can beat that, except for their ability to automate your sales and marketing tasks. Making a professional website seems like a no-brainer, but it is actually more difficult than you can imagine. First of all, it pays off to buy a .com rather than a .biz or .net. Second, web design can speak volumes about your trustworthiness. Potential clients want to see a professional design. Your website can make a significant impact on the way clients see you. Using your website or a paper checklist to compile email addresses helps you create an email newsletter list that reminds interested people that you are available and trustworthy. One way to do this is to create an opt-in incentive. This could be an e-book with tips for buying your first home or a seminar for first-time buyers looking for guidance. The goal is to offer something of value to potential and future clients. Videos add an air of authority to any material you send out, and the Internet’s advantage is that anybody can view them. Your videos can contain helpful tips about buying a home or even show off homes you are currently selling. You can give virtual tours of neighborhoods in your area or define helpful real estate terms the layman may not know. The best viral real estate videos are short, funny, memorable. 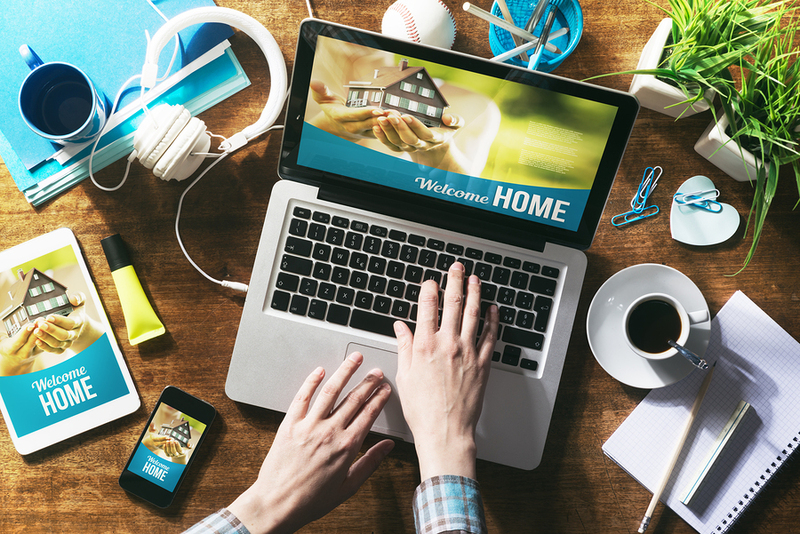 Are you still looking for new ways to market yourself as a realtor online? 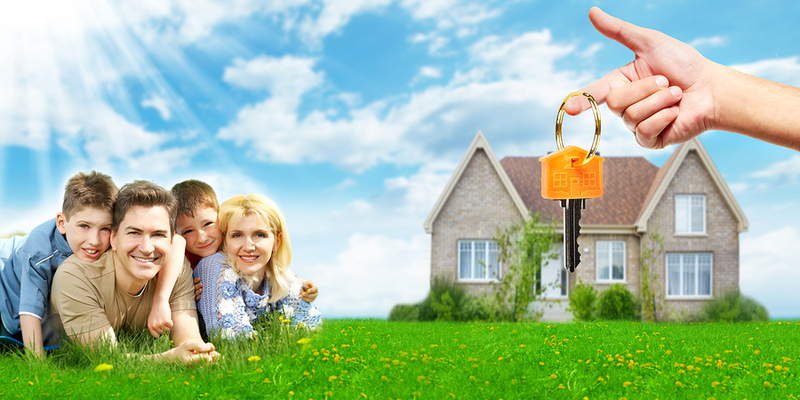 Contact us for more information about reaching out to potential buyers. Continuing education requirements for realtors varies from state to state and complying with those requirements means you will be able to renew your license. In Indiana, the Professional Licensing Agency handles all licenses and has requirements for realtor continuing education courses. Brokers are required to complete 12 hours of continuing education each year for three years in order to renew their licenses. Courses must be completed between July 1 and June 30 each year and are required for both active and unassigned brokers. Referral and inactive licenses do not have this requirement. There is a mandatory Managing Broker Course that managing brokers are required to take each year as part of the 12-hour continuing education requirement. Electives may be chosen as the remaining eight-hour requirement. If a broker was licensed on July 1, 2014, or afterward, he or she is required to complete 30 hours of continuing education courses within a two-year period of receiving the initial license. Because it is important to have a well-rounded education in the real estate business in order to better serve your clients, these courses are helpful. Continuing education classes make answering questions easier. This includes six hours of Indiana real estate transactions, which covers the unauthorized practice of law, contracts, listing and purchase agreements, offers and counteroffers and the closing process. The required six-hour course of study in finance covers lending, financing markets and credit scoring. A 10-hour course of study is required in business planning/sales and marketing and includes sections on business planning, time management and goal setting and methods of growing a business. The five-hour course in counseling and negotiating skills includes negotiation principles and phases, factors that can affect the negotiation process, how to deal with cultural differences and how to handle difficult people or situations. The one-hour course in cultural diversity and fair housing includes definitions, federal and state laws, blockbusting, protected classes, prohibited practices, diversity and enforcement. The final course counts as two hours and covers construction from site preparation through the construction phase, building inspection and defects and concludes with green building concepts. Reinstating a real estate broker’s license in Indiana is fairly simple if it has been expired for less than three years. In this case, you can renew your license online. If it has been expired for more than three years, you have to take the licensing exam again, fill out the reinstatement application and pay your fee. You also must have taken the 36 hours of continuing education courses within the previous three years. While some realtors might prefer a classroom setting, many prefer to take their required education courses in their own home, at the office or on the go. PDH Academy offers online and correspondence courses that fulfill your requirements. Upon successful completion, we provide you with your own certificate and send a copy to the Indiana Board. PDH Academy offers courses in multiple states for the convenience of realtors who have multiple licenses. Contact us for more information about what we can do for you.